The Irish Road Haulage Association (IRHA) has today, 13th of October, welcomed the Government support for the haulage sector via a reduction in road tax in the Government budget. The IRHA has been lobbying tirelessly for a reduction in road tax levels that have had a strangling effect on the sector resulting in hauliers in Ireland unable to compete with out-of-state operators, particularly from Northern Ireland. 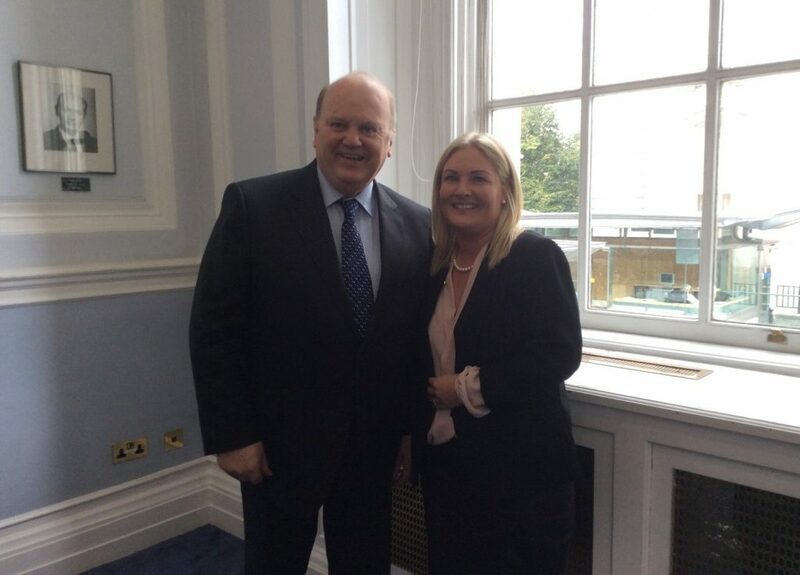 IRHA President Verona Murphy with Minister Michael Noonan at IRHA pre-budget meeting on commercial vehicle road tax – 8th of September 2015.